Chariot Acrylic on plexi panel 50 in. x 84 in. 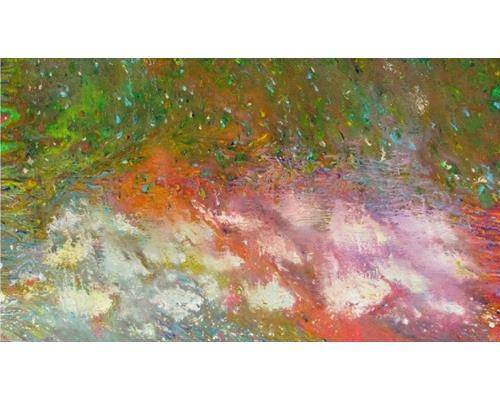 Ethereal Landscape Acrylic on canvas 48 in. x 72 in. Heat Seeking Acrylic on canvas 48 in. x 48 in. Ophelia Acrylic on canvas 50 in. x 84 in. 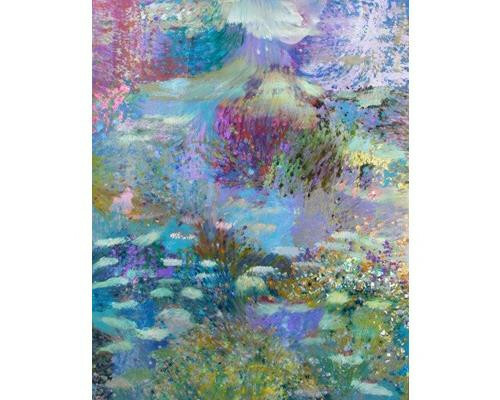 Lily Pond l Reverse acrylic plexiglass 60 in. x 48 in. 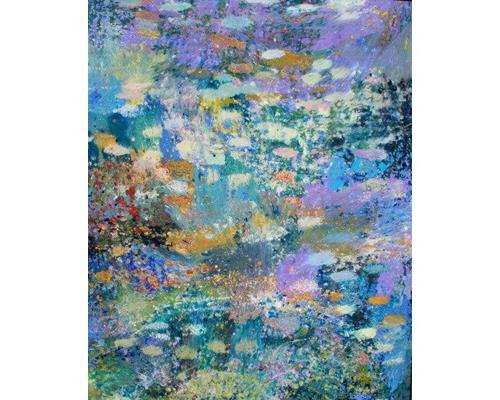 Lily Pond II Reverse acrylic plexiglass 60 in. x 48 in. 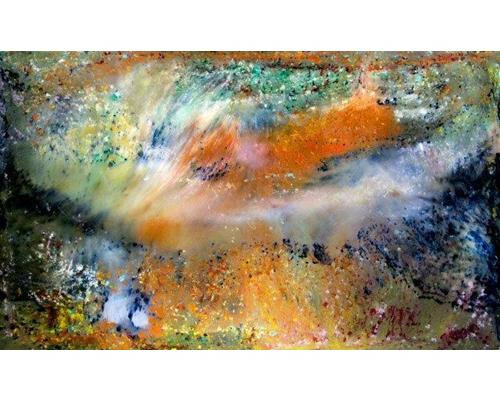 Emerald Sea Reverse acrylic plexiglass 60 in. x 48 in. 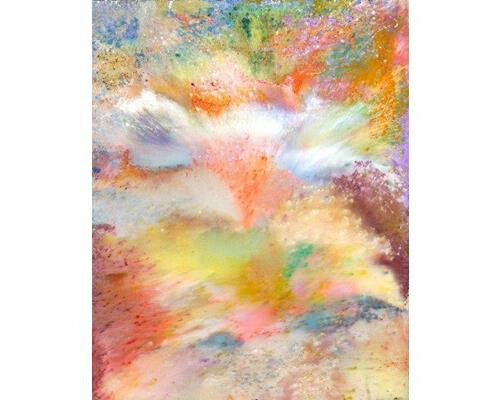 Spring Reverse acrylic plexiglass 60 in. x 48 in. 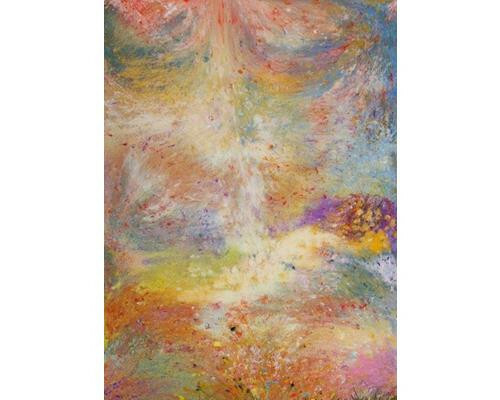 Flow Reverse acrylic plexiglass 60 in. x 48 in. 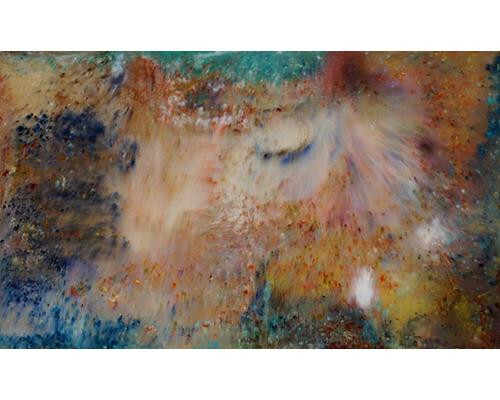 Lucid Dreamer Reverse acrylic plexiglass 84 in. x 50 in. 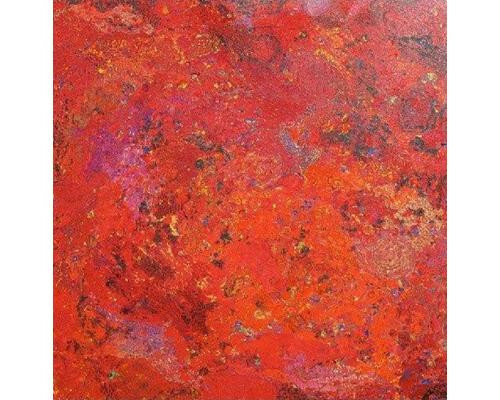 Cathy Bruni Norris paints with extraordinary sense of luminescent color and texture. Her lustrous, rich canvases dazzle with inexplicable mediums. Pigment electrified by light, suffused with energy, swirling with fluidity, perpetually in motion. Each work conveys a mysterious quality and forces the question, How did she do that? Her style is purely original, the engendered imagination of a woman whose creative passion honors the masters and presages art’s elusive future. Her technique-a fierce mixture of pouring, painting, pounding, tilting and mixing mediums combines everything she has done artistically sine she began painting at 15. Today she finds exhilaration in creating enormous landscapes, florals and abstract compositions that augur a dynamic new era for Norris and for the art world. Her paintings range from tiny, elegantly-framed canvases to large scale works of mosaic detail and intricate patterns. 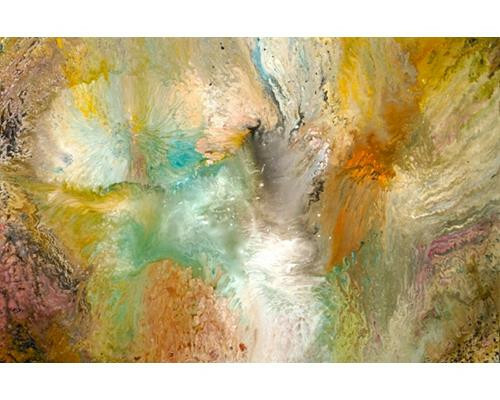 Bruni also digitally manipulates her original paintings to be printed on etched paper, silk fabric, and wall coverings. 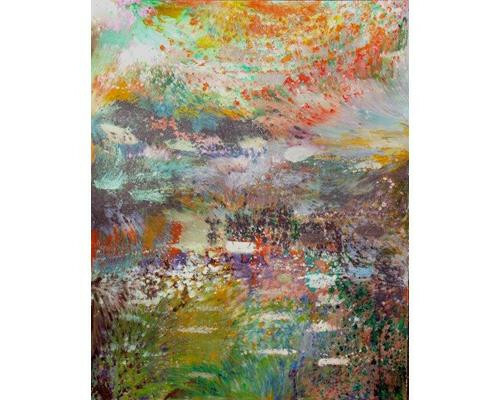 Cathy Bruni Norris was educated at Eastern Illinois University and the American Academy of Art in Chicago and holds a bachelor of Fine Arts and Communications from Southern Illinois University.